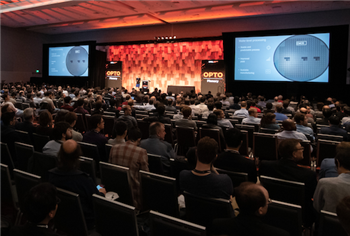 Search the world's largest collection of optics and photonics applied research. Motor proteins, including kinesin, can serve as biological components in engineered nanosystems. A proof-of-principle application is a "smart dust" biosensor for the remote detection of biological and chemical agents. The development of this system requires the integration of a diverse set of technologies, illustrates the complexity of biophysical mechanisms, and enables the formulation of general principles for nanoscale engineering. For example, our most recent work created a molecular system that is capable of dynamically assembling and disassembling its building blocks while retaining its functionality, and demonstrates the possibility of self-healing and adaptation. Optical techniques are a key tool to interrogate and interact with these nanosystems as they enable non-destructive measurements with nanometer precision as well as the control of chemical events at the nanoscale. The presentation will highlight the important contributions of photonics to the study of active nanosystems. Read the presentation transcripts while viewing the recordings. 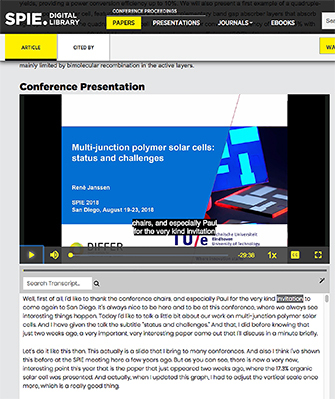 Transcripts are available for all 2018 presentation recordings and more are added daily. 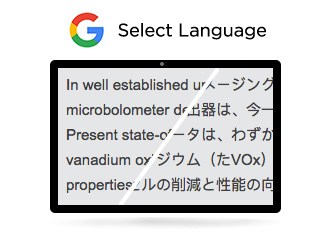 Translate any article into one of 25 languages using the Google Translate widget, available next to the title at the top of each article detail page. Email alerts: Receive updates on new journal articles, proceedings volumes, and search results. Save for later: Keep track of your favorite publications by saving them to My Library. Remote access: Users at subscribing institutions can access and use the SPIE Digital Library remotely. 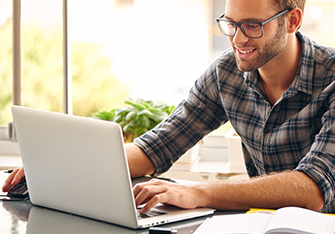 Sign in to at work to link your personal account to your institution's subscription. What is stereoscopic vision good for?